Above we have a 19th Century woven hair art created by a nun from the hair she cut from her head when she adopted the veil. It’s an act meant to symbolize abandoning worldly concerns and vanities. I thought this piece was incredibly beautiful and eerie. I found this photo from a 1956 article on manufacturing Valentine cards. Behind the scenes of shooting an ad for the cards! I especially liked the roses sort of just stuck to the heart cut out. 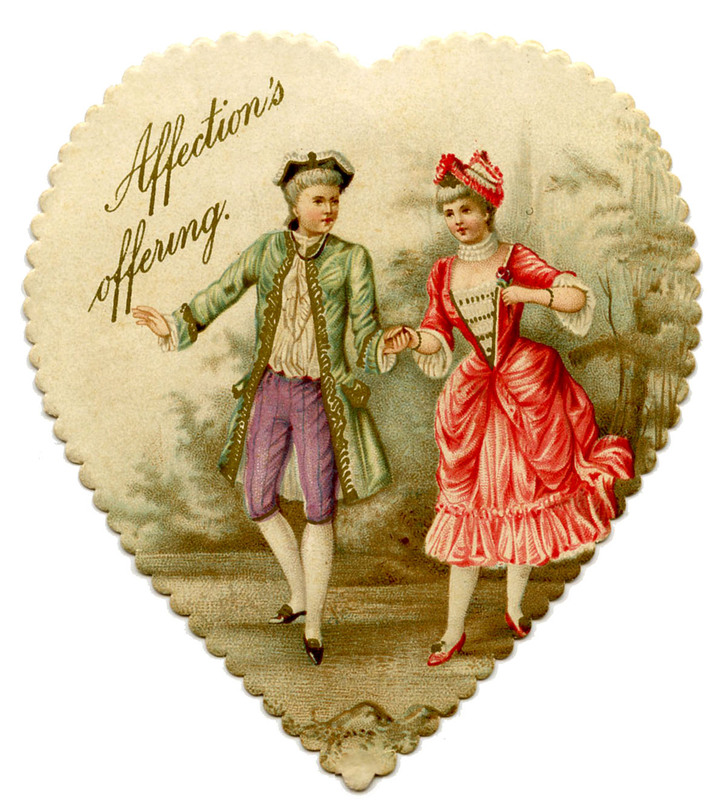 “Affections Offering”. Pretty much the best tinder tag-line right there. So unenthusiastic and chilly, it’s the Victorian equivalent to “u up?”.